Review and Buy links are provided if I have reviewed the book and/or found a source where you may purchase the book. (compilation), Chicken Soup for the Horse Lover's Soul, 2003, Health Communications, Inc.
Dave Jones, The Book of Bad Habits, 1979, Farnam Companies, Inc.
Donna Snyder–Smith, The Classic Western Rider, 2006, Wiley Publishing, Inc.
G. F. Corley, D.V.M., Riding and Schooling The Western Performance Horse, 1982, Arco Publishing, Inc.
J'Wayne "Mac" McArthur, Training For Western Horse and Rider, 1988, Keith W. Watkins and Sons, Inc.
Jack Brainard with Peter Phinny, Western Training, Theory & Practice, 1989, Western Horseman, Inc.
Mary Twelveponies, Everyday Training, Backyard Dressage, 1980, Breakthrough Publications, Inc.
Nuno Oliveira (translated by Phyllis Field), Reflections on Equestrian Art, 1976, J. A. Allen & Co. Ltd.
Pat Parelli, Natural Horse-Man-Ship, 1993, Western Horseman, Inc.
Randy Steffen, The Revised Horseman's Scrapbook, 1997, Western Horseman, Inc.
Sarah Mason, Horsemastership, 1974, Arco Publishing Company, Inc.
Tom Ainslie and Bonnie Ledbetter, The Body Language of Horses, 1980, William Morrow and Company, Inc.
Wilhelm Museler, Riding Logic, 1983, Arco Publishing, Inc.
Wyatt Webb with Cindy Pearlman, It's Not About the Horse, 2002, Hay House, Inc.
Chicken Soup for the Horse Lover's Soul, (compilation), 2003, Health Communications, Inc. Everyday Training, Backyard Dressage, Mary Twelveponies, 1980, Breakthrough Publications, Inc.
Horsemastership, Sarah Mason, 1974, Arco Publishing Company, Inc. It's Not About the Horse, Wyatt Webb with Cindy Pearlman, 2002, Hay House, Inc.
Natural Horse-Man-Ship, Pat Parelli, 1993, Western Horseman, Inc.
Reflections on Equestrian Art, Nuno Oliveira (translated by Phyllis Field), 1976, J. A. Allen & Co. Ltd. 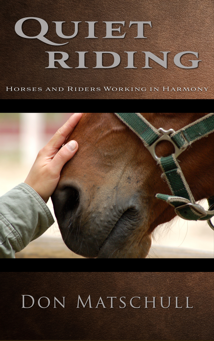 Riding and Schooling The Western Performance Horse, G. F. Corley, D.V.M., 1982, Arco Publishing, Inc. 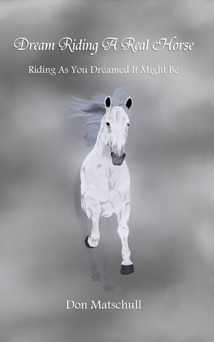 Riding Logic, Wilhelm Museler, 1983, Arco Publishing, Inc. The Body Language of Horses, Tom Ainslie and Bonnie Ledbetter, 1980, William Morrow and Company, Inc. The Book of Bad Habits, Dave Jones, 1979, Farnam Companies, Inc. The Classic Western Rider, Donna Snyder–Smith, 2006, Wiley Publishing, Inc. The Revised Horseman's Scrapbook, Randy Steffen, 1997, Western Horseman, Inc.
Training For Western Horse and Rider, J'Wayne "Mac" McArthur, 1988, Keith W. Watkins and Sons, Inc.
Western Training, Theory & Practice, Jack Brainard with Peter Phinny, 1989, Western Horseman, Inc.